i liked this more than the anime! and L change the world! well there are 3 movies in total! the third aint that good though! sadly ive had a glimpse of the first one only. Sad thing that. Kinda found it funny. But it did look like they put some effort into the whole thing. both the movies are really good! and nice animation the shinigami eyes etc! the casting and acting are also good! Ryuk was indeed good animation. The first movie only relates to the Raye Penber Accident right? What do the other movies relate to from the manga/anime? well the second movie has an alternate ending! so i wont spoil it for u! its too good an ending! better than the manga or anime! well the second plus point bout the movie is its for all audience even people who doesnt like animation will like this! Loved the movies...but I still want to slap Tatsuya Fujiwara for attempting Light's role...honestly, what does he think of himself?! I had 3 hours to go before my flight and I was waiting around doing nothing when I see this girl unpack her laptop ant start up the Death Note movie. I couldnt help but peer over her shoulder and of course she would notice. 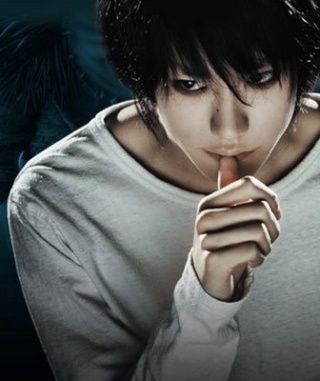 Umm... you a fan of Death Note too? Yeah... are you one also? Have you seen this movie already? Oh wait, you know what, Anime Movies Work well in that context. To keep this on topic. The Demon Eyes will Be Tamed! @ Arrow: Talk is cheap. Show me the goods. Demon Eyes will be tamed? 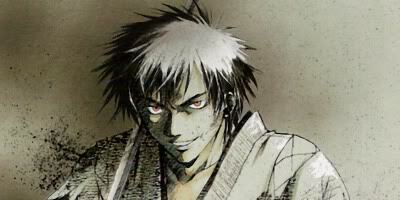 This I would like to see... couldnt find anything like Onegai Kyoshiro Sama anywhere. Maybe I just didnt look hard enough. My internet isn't in the best of its health today, so I won't be able to open the link but is it the alternate ending to the manga? If that's what you're talking about, then I read it...and honestly, I liked it more than the real ending....! I've heard of that ending. but wtf.. . was that ending made just to appease Light fans? If so, then it's not working. I still prefer the original.. this one just seems too silly. The original is dramatic and gets your emotions going. Shweta ~ Gackt's Fujin wrote: Loved the movies...but I still want to slap Tatsuya Fujiwara for attempting Light's role...honestly, what does he think of himself?! Haha!! Light is still supposed to at least look gorgeous...Tatsuya was far from that...!!! But then I guess, there really is no one who could play Light!! @ Jin: agree with you about Light being dumb L rules the world! aint there another L Live action movie? aah is it about a virus in a building or something like that?